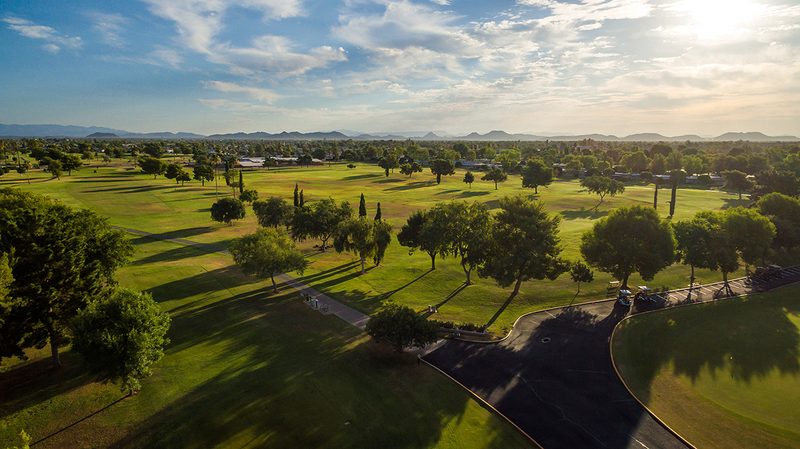 Tee Times/Draw Process - Sun City, Arizona - The Original Fun City! Tee times are accepted up to five days in advance for RCSC Cardholders. Tee times can be made by lottery draw, telephone or online through the RCSC Web Portal. Please have Cardholder number available for starters. Cardholders can sign up for regulation courses in the pro shop from 6am to 6:48am by signing their name and RCSC card number on the sign-in sheet. Take a number that corresponds with the line you signed on. This number assures your place in line for the lottery drawing. At 6:48am an announcement will be made giving a two-minutes-to-draw call. At 6:50am the drawing is held for regulation courses, 7:30am for executive courses. You turn in your first number to the pro shop worker and draw another number from the bag. This number puts you in rotation to book a tee time. Numbers 1 and 2 will be taken after the draw is complete to book a tee time and then there is a wait until 7am to receive the first phone call. Phone calls are not accepted until 7am. Two numbers are taken versus each phone call. Cardholders may book only one time slot (one to five players) per number or call. The general public may book tee times three days in advance, based on tee time availability, by calling the course pro shop. Tee times may also be booked online at golfnow.com.